OCT, or Optical Coherence Tomography, is a non-invasive imaging test that uses light waves to take cross-section images of your retina. Think of it as an MRI scan for your eyes! 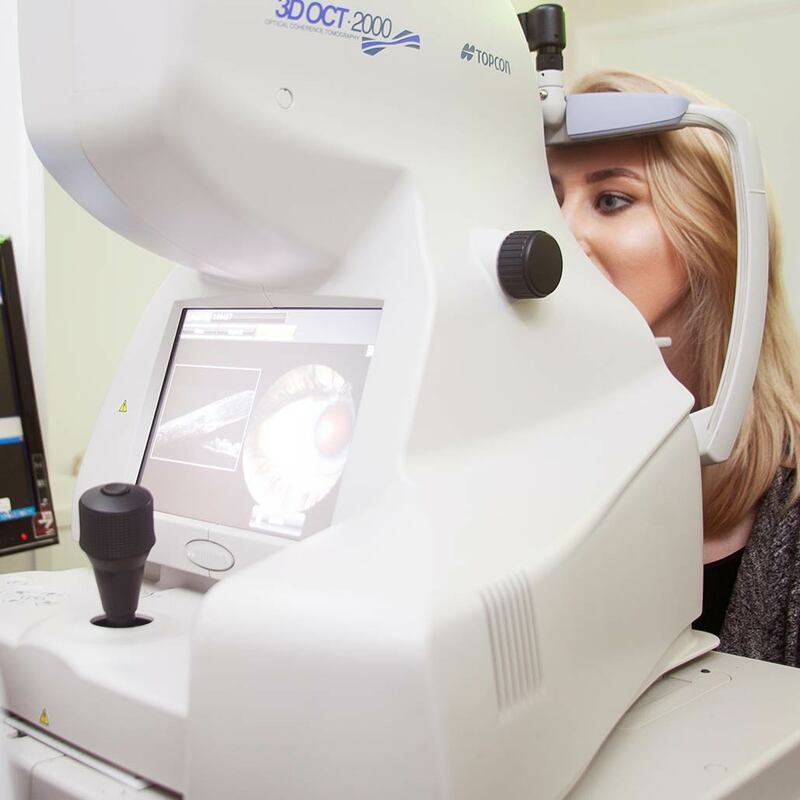 This test allows Iain to see each of your retina’s distinctive layers and enables him to gain a true understanding of the health of your eyes. Results are available immediately, and Iain will use his extensive knowledge to interpret and explain his findings. The OCT scan offers important information on your overall eye health and can reveal problems often before they become apparent. This knowledge, along with support and guidance from Iain, can help you to make informed changes to your behaviour so as to better support your ocular health. Absolutely tops! Popped in a couple of weeks back and Ian gave a very informative and a thorough eye test. Picked up new specs today and very impressed with the quality and style. Above all, a very friendly service and welcoming team. Not bad coffee either! A breath of fresh air and highly recommended.